Ferdinand W. “Ferdie” Hilmes, 74, of Breese, died Monday, June 8, 2009 at his residence. 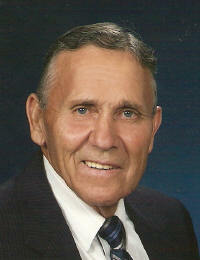 Mr. Hilmes was born April 1, 1935 in Breese a son of Ferdinand and Dolores (Pax) Hilmes, Sr.; they preceded him in death. He married Geraldine Haas on November 19, 1960 at St. Mary Catholic Church in Trenton; she survives in Breese. Also surviving are his children, Randy (Janice) Hilmes of Breese, Lori (Paul Diekmann) Hilmes of Breese, and Brian (Kim) Hilmes of Greenville; a daughter-in-law, Marcia Hilmes of Breese; 14 Grandchildren and 6 Great-Grandchildren; brothers, Sylvester (Julie) Hilmes of Breese, Robert (Mar) Hilmes of Carlyle, Joseph (Dot) Hilmes of Carlyle, and Gerald (Marilyn) Hilmes of Carlyle; sisters, Florence (Ray) Usselmann of Breese and Alice (Wilford) Pendergrass of Republic, MO; and brothers-in-law and sisters-in-law, Joan Hilmes of Carlyle, Norman “Skelly” Haas of Trenton, Carl (Janice) Haas of Bowling Green, KY, and Lenard Haas of Scottsdale, AZ. In addition to his parents he was preceded in death by, sons David Hilmes and Daniel Hilmes; brothers, Wilfrid Hilmes and Jerome Hilmes; and a sister-in-law, Charlotte Hilmes. Ferdie was a lifelong farmer and a U.S. Army Veteran. He was a member of St. Anthony Catholic Church and Clinton County Farm Bureau. Funeral Mass of Christian Burial will be Friday, June 12, 2009 at 10:00 AM at St. Anthony Catholic Church in Beckemeyer with Fr. Chuck Tuttle and Deacon Bob Lippert officiating. Interment will follow in St. Anthony Cemetery, Beckemeyer. Visitation will be Thursday, June 11, 2009 from 4:00-9:00 PM and again on Friday, June 12, 2009 from 8:00-9:30 AM at the Moss Funeral Home in Breese. Memorials can be made to Clinton County Relay for Life and will be received at the funeral home.